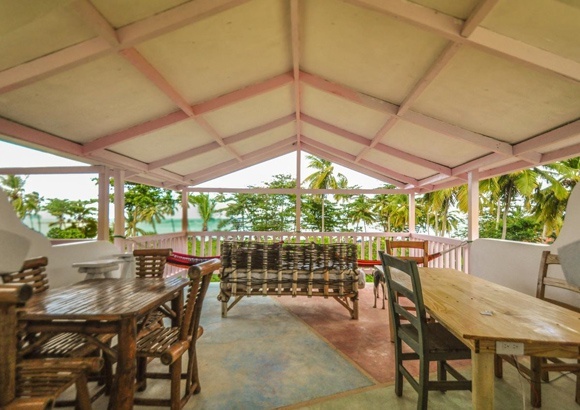 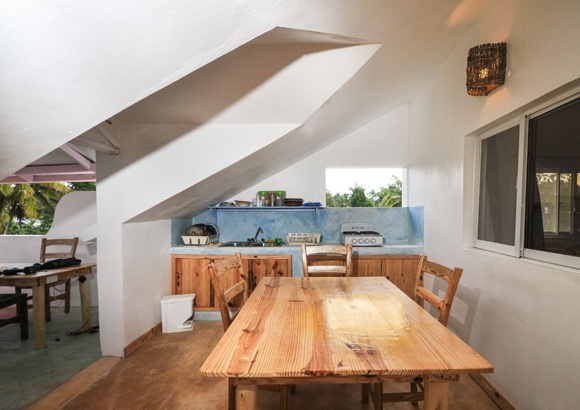 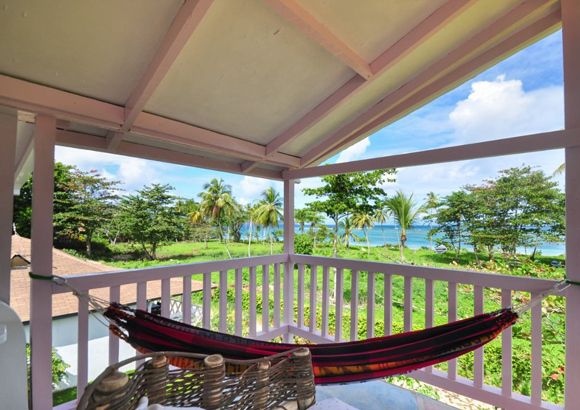 First floor villa: 3 double bedrooms of 180 square foot, air conditioning, fan, king size bed, private bathroom, fridge and safe in each room, kitchen, very large sea view terrace with 2 tables and hammocks. 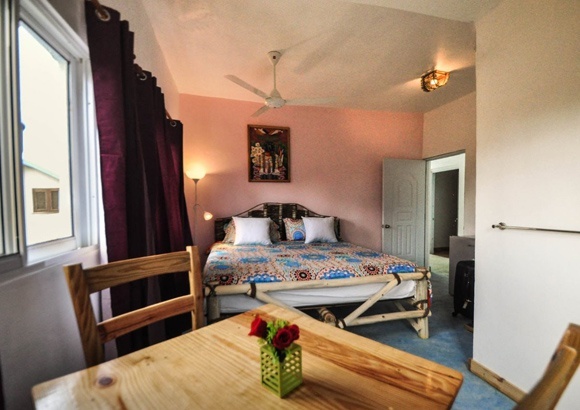 with king size bed, safe, fridge and private toilet. 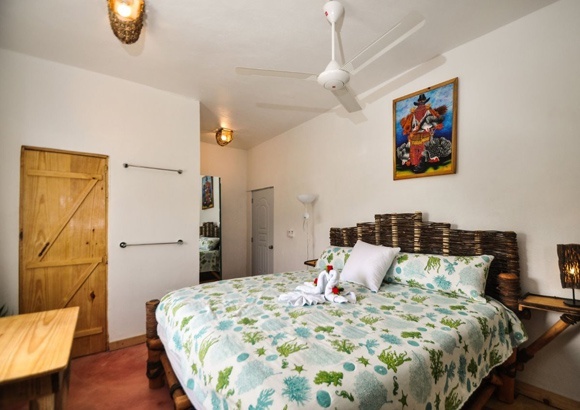 See mango room on freetobook or airbnb.